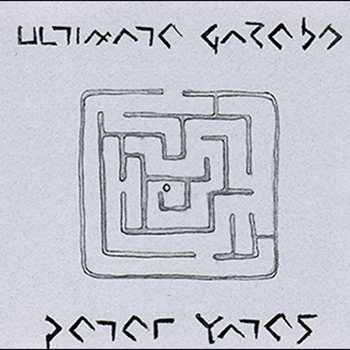 Ultimate Gazebo combines eight pieces of solo prepared guitar music (String Drum Codex, 2005), seven solo appropriated folksongs (2006), and five pieces for voice and just-intonated tri-cone National steel resonator guitar (Quips, 2007, written for and dedicated to John Schneider). Tracks 04 and 20 intercut between different solo performances; in track 11 a chorus of true believers joins in, and in track 17 four performances of the same solo piece are presented simultaneously. From time to time, crickets, crows, mockingbirds, and wild parrots interject celebrations of sound. Yates: What Shall We Do?